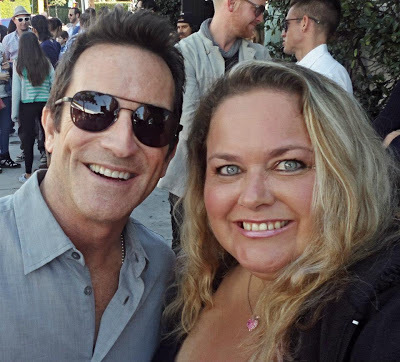 So, last week I saw Jeff Probst unexpectedly at a premiere. Not realizing I'd met him before, I went and got a picture with him. Super nice guy! The funny part was that the very next day, what picture comes up as a memory on Facebook? That's right - me and Jeff Probst from five years ago! Funny timing. Glad he's still just as nice!